Immerse yourself in romance onscreen and in island style during your Maldives honeymoon. Sink into oversized beanbags for two under the bright stars of the Indian Ocean sky. Take in epic Hollywood romances and foreign classics. Enjoy complimentary popcorn, or order a selection of gourmet snacks and beverages to share. An unrivalled magical experience for your honeymoon at our Maldives resort. 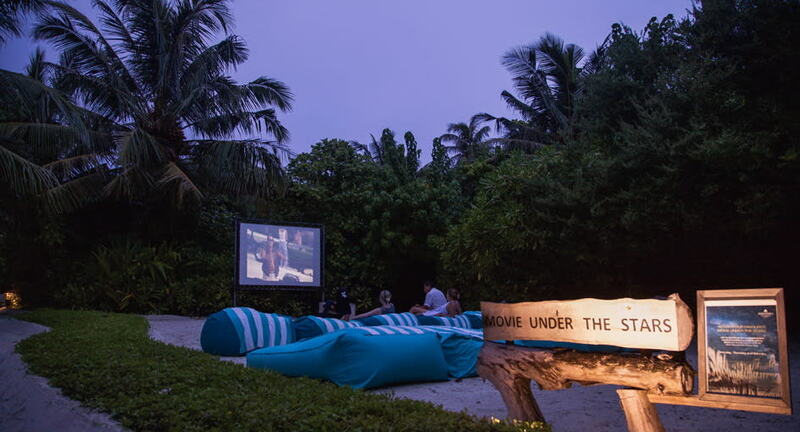 Indulge in a private screening of your favourite movie under the stars. Enjoy bespoke service and an intimate setting for two.